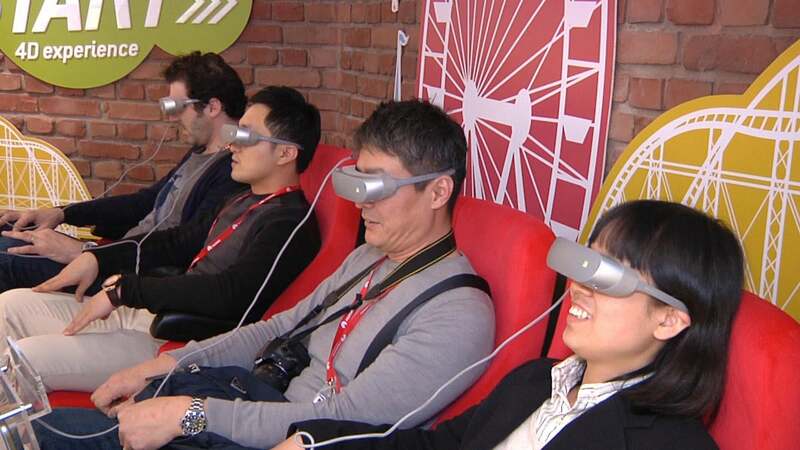 If you haven't been paying much attention to virtual reality, now might be a good time to start. 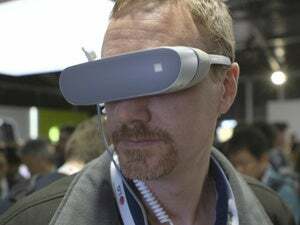 In a series of announcements at Mobile World Congress in Barcelona this week, some of the biggest names in smartphones, consumer electronics and social media have given the technology a major boost. It's too early to tell whether the new cameras, smartphones, goggles and social media tools are enough to take the technology from video toy to big business, but together they make up the most serious attempt yet to do so. 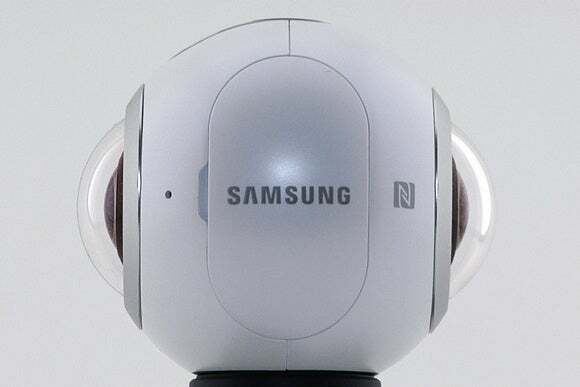 At one end are new 360-degree cameras from Samsung Electronics and LG Electronics. These are vital for capturing the all-around images required for virtual reality. 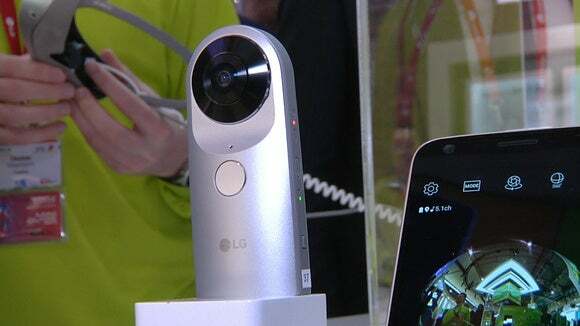 LG's 360 camera on display at Mobile World Congress in Barcelona on Feb. 22, 2016. Software in smartphones from the two companies will make it easier to capture, record and share 360-degree video and LG will soon launch a VR headset to compete with Samsung's $99 Gear VR device. Samsung said it would give Gear VR devices to people who preorder its Galaxy S7 and Alcatel, a brand of China's TCL, is shipping its new Idol handset in a box that transforms into a VR headset. 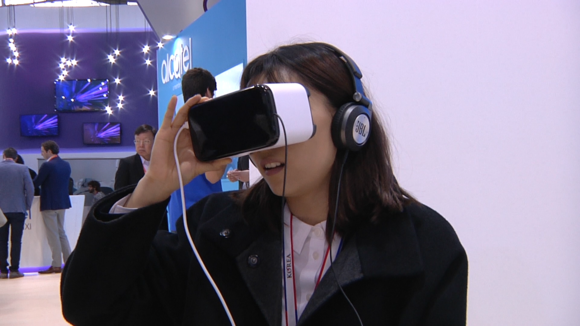 An attendee to Mobile World Congress in Barcelona tries out a virtual reality headset on Feb. 23, 2016. And online, Facebook and YouTube recently started supporting 360-degree video, giving consumers an easy way to distribute footage. For Facebook, that's just the start. Speaking in Barcelona, Facebook CEO Mark Zuckerberg said he believes VR is the next big social platform, and has teams working on new VR apps for the site. 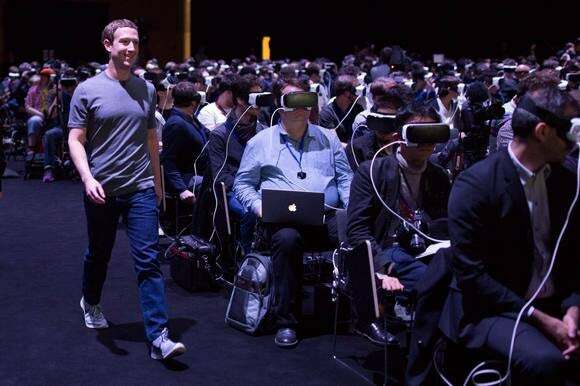 Facebook CEO Mark Zuckerberg walks past Mobile World Congress attendees watching a virtual reality presentation in Barcelona on Feb. 21, 2016. He's enthusiastic about VR because he believes it will bring people together like no other technology can. "VR is the next platform, where anyone can create and experience anything they want," said Zuckerberg. "Pretty soon, we’re going to live in a world where everyone has the power to share and experience whole scenes as if you’re just right there in person." Virtual reality technology captures images from at least two cameras and stitches them together. In the case of dual cameras, each has a 180-degree fisheye lens. When joined, the result is an image that contains all directions -- sideways, up and down. Imagine the image as a sphere, and you're on the inside. With a VR headset, you can look around the picture of video as if you were there, while on a 2D screen users can scroll around with a cursor. Mark Zuckerberg talked about capturing the first steps of his new baby girl with virtual reality. Such an image or video would simultaneously capture not just the steps but also the faces of those watching. The arrival of low-cost VR headsets also highlights a divergence that's emerging in the market. 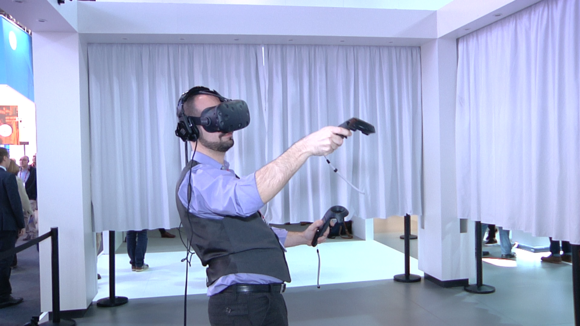 An attendee to Mobile World Congress in Barcelona tries out an HTC Vive virtual reality headset on Feb. 23, 2016. For the last several years, a lot of the hype around VR has been about gaming. In that market HTC, Sony and Oculus, which was acquired by Facebook, have VR headsets for serious gamers that pack better screens and audio for a more immersive experience. Two aren't priced yet but the HTC Vive will cost $799. 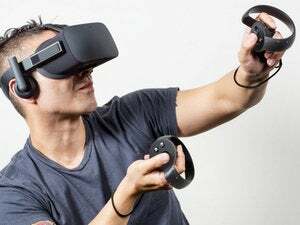 So consumers can initially expect two very different virtual reality experiences depending on if they go the serious gamer route or casual user route.